The first thing you want to do is grab your favorite messenger bag, this case, it was the Banjo Brothers Messenger Bag. 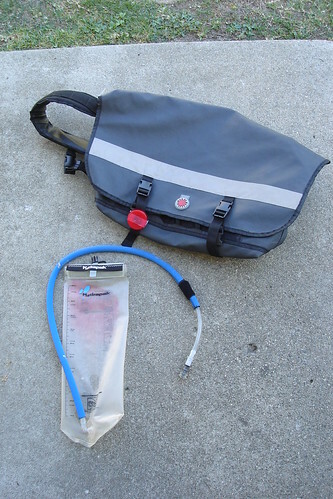 You’ll also need the bladder from your hydration pack. If you don’t have one, run to the nearest Target store and pick up a bladder for as little as $10. Fill up your bladder with water. Just fill it about half way. Once you fill it, empty out the air by compressing the bag while its open. Take the bladder and place it in one of the pockets of your messenger bag, you can see the bladder fits in there just fine. That’s why we didn’t fill it up all the way and why we emptied out the air. Make note that the hose needs to be on the right side. Grab your favorite reflective straps or small strip of velcro. 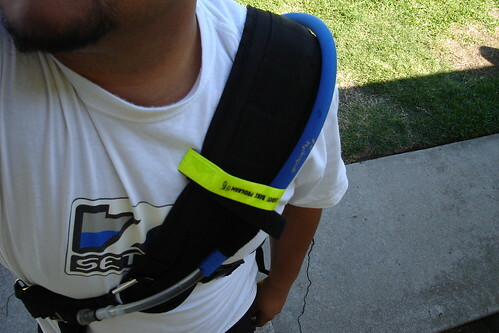 Place it around the shoulder strap and the hose. The strap will keep the hose in place while you’re riding. Now you can stay hydrated and keep all your stuff in the same place! Just keep in mind, that extra water in your bag will cause it to be a bit heavier. RL, you look really hydrated….maybe you should ease up on the water, looks like you’re retaining a bit too much. Hey how come I always see the same people responding to your articles? This isn’t a diy messenger bag article, it’s “let me tell you how to buy a bag from a store and buy a bladder then put it in your bag” article. Thanks. I couldn’t figure that out! 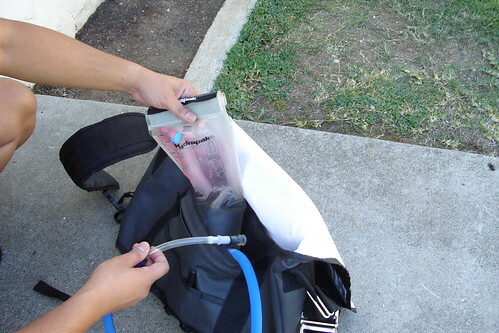 Now how about you build your own bag and bladder, which is what we’re really looking for. 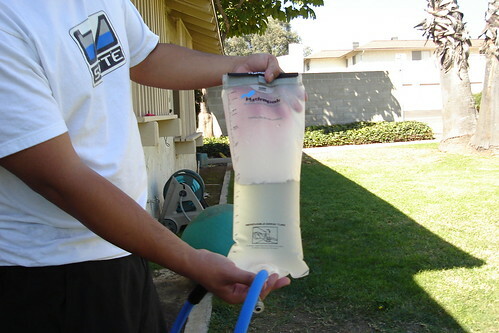 WTF would you want to build your own bladder when they are cheap but yeah this is stupid. 2. put in other bag. 3. waste time taking pictures. 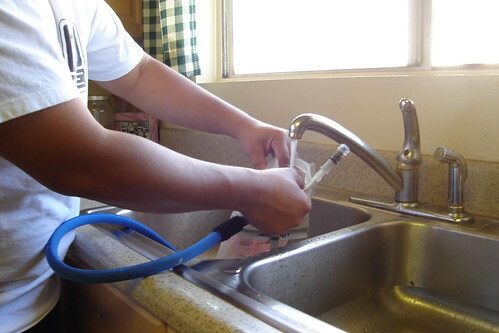 hey you missed the best part- to keep the pressure of the water high for ease of drinking put an elastic sleeve (like lycra ballet dancing leotard thing) or a bandage or a couple of rubber bands- you get the idea , around the water compartment.